CALLE 14 BIS NORTE #147 ENTRE 10a Y 15a AV. Oh Lala! 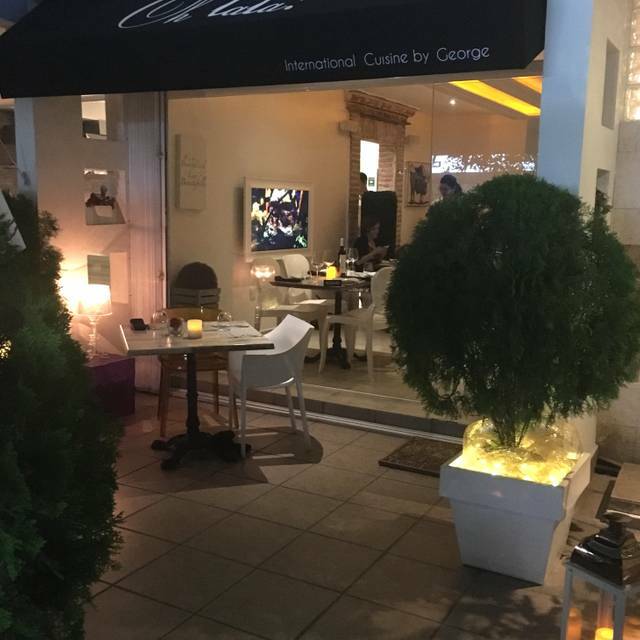 International Cuisine by George es la culminación de la pasión hacia el arte de la Gastronomía, desarrollado por el Chef George, quien se ha inspirado en sus viajes por distintas culturas, junto con Mikaela Romero, cuyos estudios y experiencia en el giro de la Hospitalidad, ha complementado la visión del Chef George. 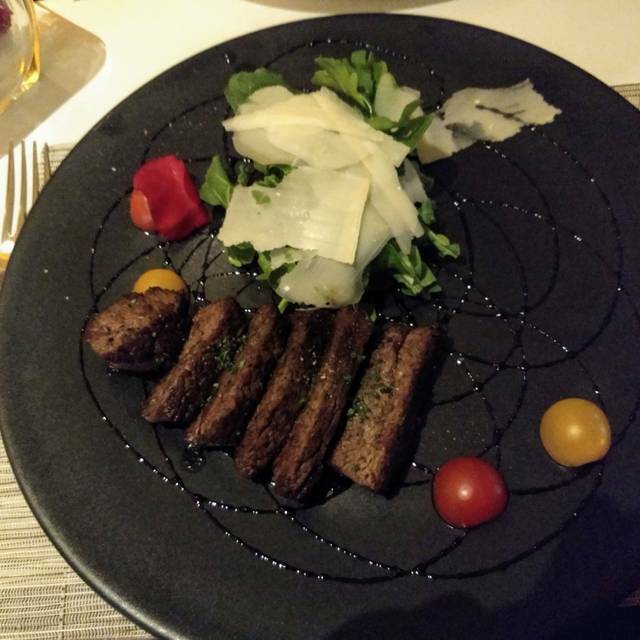 El menú es modesto pero aun así cuenta con una selecta y bien planeada variedad de platillos, utilizando los productos locales mas frescos y de mejor calidad, ofreciendo platillos con una propuesta de maridaje en conjunto de un excelente servicio. The cuisine at Oh Lala! is a refreshing change from that of other, more conventional restaurants. Guests are treated like good old friends in a relaxing atmosphere coupled with personalized service and good food. An open kitchen, Chef George, Mikaela, and their staff, make sure that every visit to Oh Lala, International Cuisine by George, Is a unique and a delicious one. Muy buen servicio y comida muy gourmet, estilo Europeo. Una lista de cocteles y vinos muy completo. Un lugar excellente para celebrar un momento importante en tu vida. Loved our experience at Oh lala. I ordered the pair salad (special that evening) which was superb, my wife’s mushroom appetizer was on point as well. Her surf and turf was only outdone by my filet with fois gras both of which were perfectly cooked. (Hers was medium and my medium rare). Excellent execution across both entrees. For dessert she ordered the tart which she loved and I reverted to the cheese platter and the Mexican port. Excellent pairing. We shared the Rioja Reserve over dinner (can’t recall the name after a scotch, the bottle and the port) but it paired very well with dinner. The staff was wonderful as well. Attentive without being intrusive which in my opinion is an art. Well done. Will definitely be back. also easy to have a conversation over the tasteful music. We are visiting from Canada and the prices were akin to what we would spend at a restaurant of similar quality there. My in-laws have been raving about the meal all week - so we definitely made the right choice! Everything was excellent about this restaurant: service, food, and spirit! We had a great experience at Oh lala. The food was well prepared and delicious, the cocktails tasty and the service fantastic. We will definitely be going back. My husband and I celebrated our anniversary dinner here and we so pleased we did! The intimate space is beautiful and the service outstanding. We started with appetizers, had octopus and seafood curry for our entrees and ended with dessert and coffee. Every course was a work of art - almost too beautiful to eat. 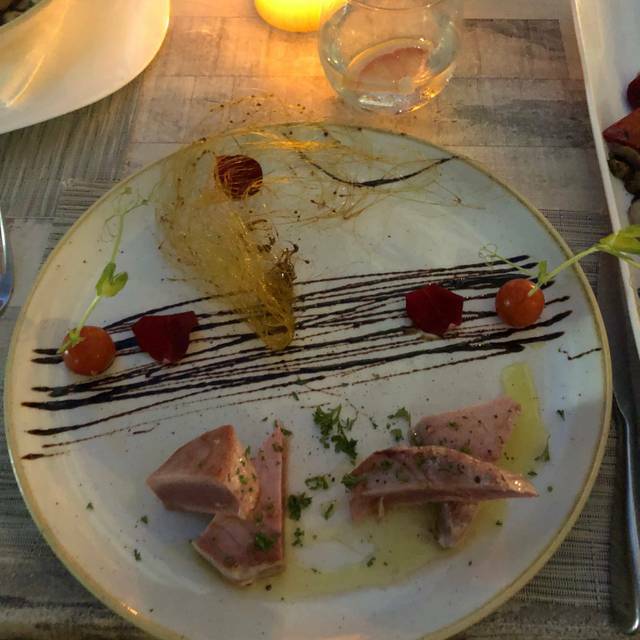 But the “food art” was so delicious we didn’t want the experience to end. 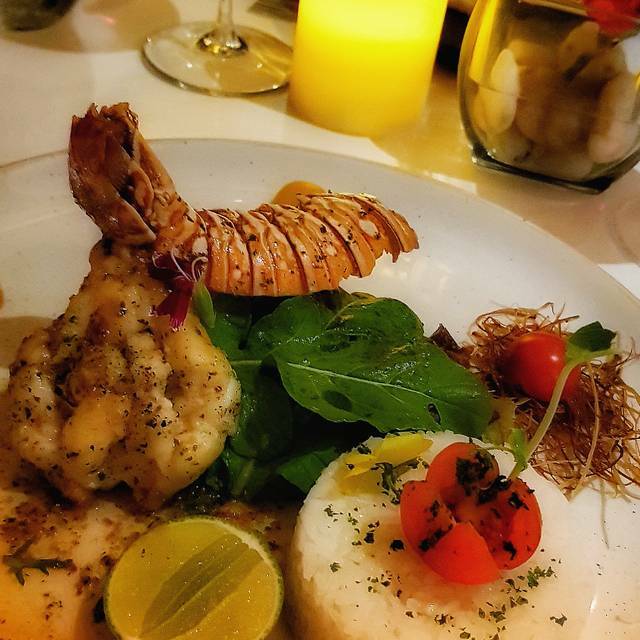 Whether for a special occasion or the desire for an exceptional meal, we highly recommend Oh la la! En general todo estuvo muy bien, desde la recepción hasta el postre, un lugar muy discreto y muy ameno. La comida de primera calidad y el servicio muy bueno. Cómo en cada ocasión que asistimos, siempre nos sorprenden con sus platillos. We had a wonderful dinner, the food was outstanding, the tuna was just delicious and the duck taco was just delicious. The service was excellent! Best restaurant in Playa without any doubt. We had a wonderful experience and meal at Oh lala. The staff were very polished and professional especially our hostess Julia as well as the hostess that took our wine orders...we didn't catch her name but she was very knowledgeable and gave us wonderful advice. I will definitely make a visit to Oh lala a yearly must when in Playa. Highly recommend. It was a special birthday party for my family, and thanks to Oh lala, and its excellent staff, it turned into a night to remember. the food and service were exceptional, the wines the best we have ever had in Mexico. We ate at an outside table, surrounded by soft lights and gentle music. Our waitress and waiter seemed on a mission to make sure we enjoyed the night, and we have all pledged to go back there again some day. It's on a back road away from the main street of Playa del carmen, and well worth booking early. Some places are special, and this is one of them! For the last several years, we have gone to Oh Lala for our celebrations. We went in February for my birthday, and everything was superb, including food, and service. We just went on Saturday evening to celebrate our anniversay with another couple, who loved this restaurant, as well. Although the food was as wonderful as it has been, the service was not up to par for the prices. We don’t mind paying the price if the food, and service is good, but this time we were very disappointed. First, the cocktails arrived at different times, making a toast very difficult. Then we ordered apps, and they were delivered, and we had consumed them LONG before our main course orders were even taken! I ordered a second cocktail, that took so long, I cancelled it! Our reservation was for 6:30, and we arrived on time, and we were there until almost 10!! We will not be going back, but looking for a different restaurant to spend our money, and celebrate. We left an all-inclusive resort to celebrate my husband's birthday here and were absolutely delighted with our choice. The food was excellent and beautifully presented. 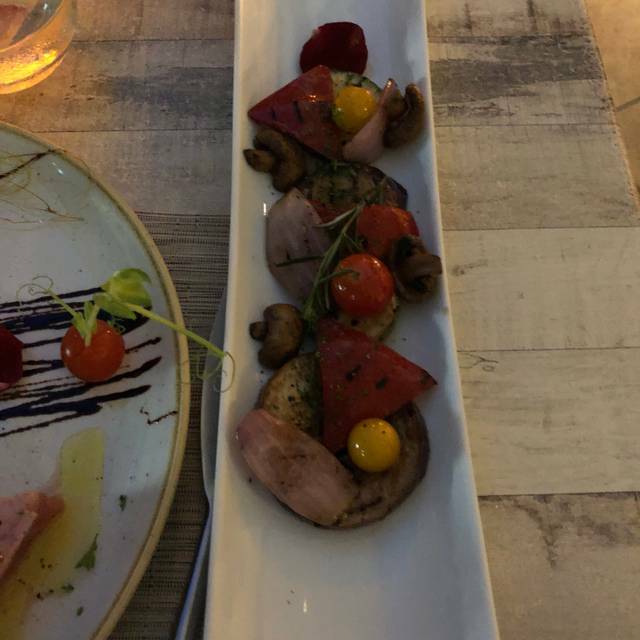 We had the duck tacos, which proved worthy of the rave reviews, the tuna focaccia - also excellent, a sea bass special that was outstanding and tuna. 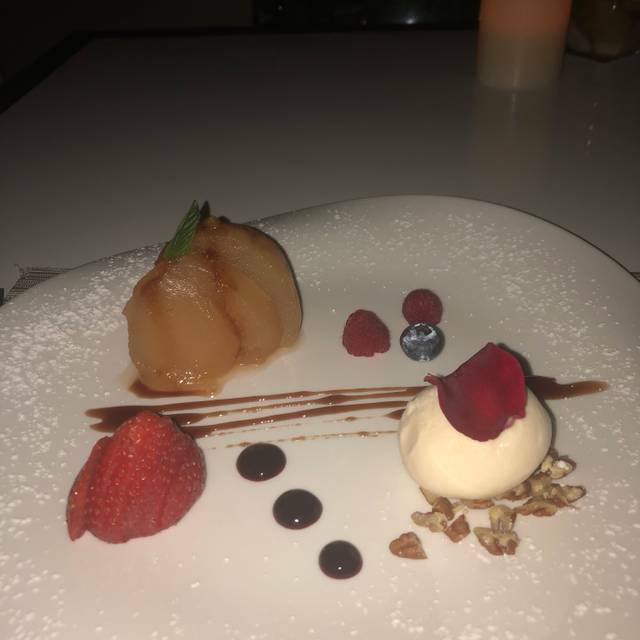 The service was excellent - friendly and attentive and included an inspired recommendation for an after dinner drink - by Casa Madero. Finally, the setting is charming. We only wish Oh Lala were closer to home so that we could be regulars. Amazing place with top-notch staff and delicious food ! My wife and i had a wonderful meal on March 20th for her birthday! Really i nice evening all around, the owner came by to chat and the service was great. 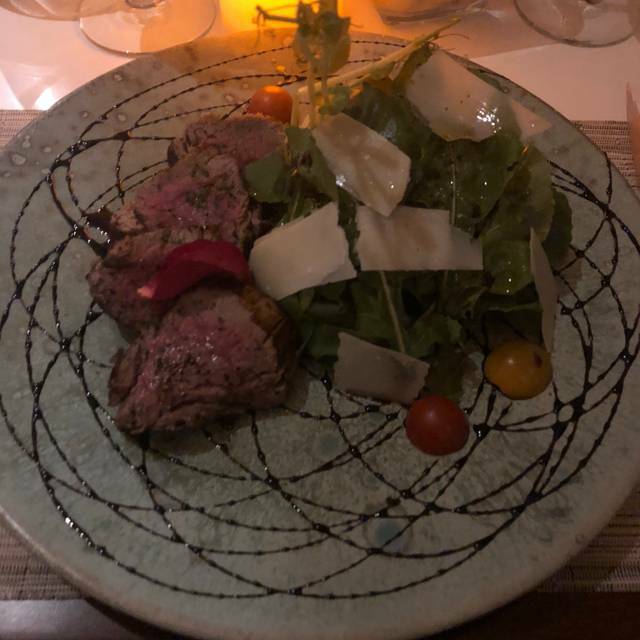 I would highly recommend Oh lala to anyone looking for a special meal in Playa del Carmen! Asterio give us the best service and attention during our trip at Playa del Carmen ! Excellent and personal service. Foods and drinks were top notch. We ate outside and it is on a quiet street. Only suggestion would be to turn the volume down on the piped in music and mix it up a bit. For the first half of our time we listened to Barry White with a couple of repeats. Minor issue and I would definitely go back. Wow what a gem! Hard to find and only a few tables but that just adds to the ambiance. Food was excellent and so was the service. Tuna tartare was the best I've Ever had and my wife said the same. My steak was cooked medium rare to perfection and my wife ordered the octopus and said it was delicious. Food is a little expensive but to me well priced for the quality. Told them it was our anniversary and they treated us to a cheesecake with happy anniversary written on it. Will definitely return if ever in the area again and highly recommend. Most definitely would recommend. Third year and still one of the best meals in Playa. Food could have been a little hotter but outstanding flavor! Food was awesome and the wait staff was very good. This is a “must “ anytime in PDC! Vegetable curry was out of the world. Beautiful intimate dining experience. Very romantic. Best dinner is playa. Every aspect of our evening here was impeccable... being greeted, seated, offered the wine list, then served, and so forth. Not one anything less that stellar! Each dish was beautifully prepared as well as presented. Perfection! We widowed Oh lala twice during our stay in Playa. We have been going to the restaurant for the past 3 years and have never been disappointed. The food is impeccable and the service is attentive but not intrusive. Julia, the hostess, is always smiling and goes out of her to ensure a memorable dining experience. 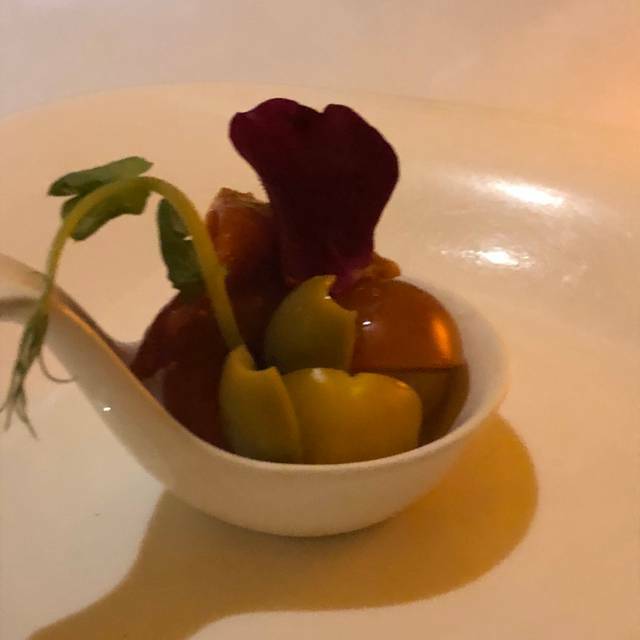 It is truly fine dining, Mexican style! Nice find for just enjoy excellent food and good company. Good ambiance not noizy and friendly service. The best restaurant in Playa. We’ve been coming to Playa for over 15 years & we’re so happy to have Oh lala! Always a wonderfully prepared and served meal. They cater to you’re particular needs and try to make your experience special. We will continue to visit when in town! Expensive for MX but my husband who ordered the “big” steak, worthwhile. Best steak he ever had . My Thai was good...not a lot of food but just right for me. Shrimp- scallops in garlic—-excellent. Oh Lala was one of the best culinary experiences I’ve had in my life. The dishes were all presented beautifully and the flavors were perfect. My girlfriend and I ordered Mezcal Negroni’s for our cocktails and they were amazing as well. We were also celebrating our anniversary and they brought us a complimentary cheesecake to celebrate. We both would come back in a heartbeat! Nice little place. My big problem and the reason for the 4 stars is that it is missing the Mexican roots. This place is very European or American. Nothing about Playa Maya Yucatan Mexico. 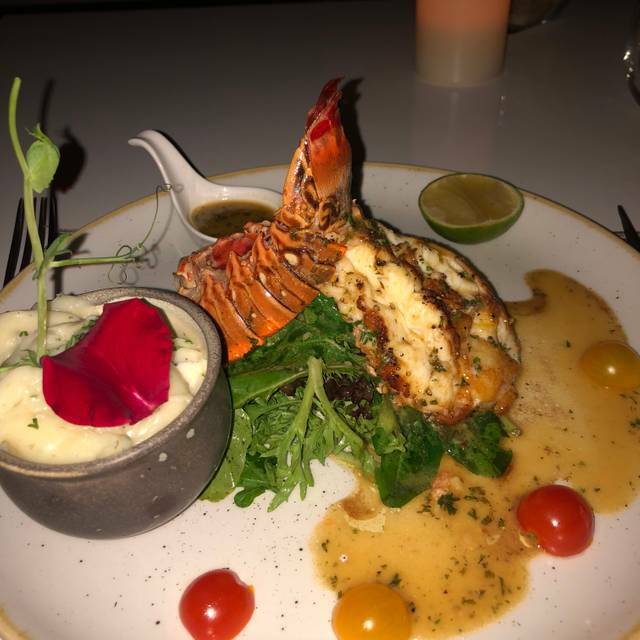 A great choice for a special night out while staying in Playa Del Carmen. Had the butter soy tuna and the grilled octopus entrees, like we saw highly recommended by others. Both amazing choices, so good! The dinner was well paced and the service was on point. Everyone was polite, professional and friendly without being pretentious. The restaurant itself is small but has beautiful and intimate ambiance about it. A great date night type of place. The price is actually not bad either. You would find yourself paying more for a comparable dinner back home in southern california. Would come here again for a nice dinner next time when visiting Playa. Delicioso. Alta cocina. Extraordinario servicio. Gran experiencia. Wonderful experience with Julia, Esterio and staff. Would recommend to everyone hands down. Food was unbelievable, service was exceptional, and ambiance was perfect.